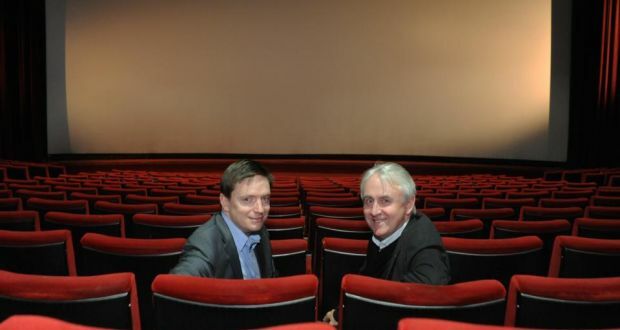 Ireland’s cinema advertiser Carlton Screen Advertising is rebranding as Wide Eye Media. More importantly, the company is determined to focus strongly on the youth segment of cinema goers, highlighting the need and challenge for cinemas and advertisers in most exhibition markets in the developed world. Although the old Carlton Screen Advertising (CSA) website is still running (pictured below), the new Wide Eyed Media (WEM) one (above) looks much better and gives an indication of the changes to come. WEM represents 653 screens across 94 sites in both the Republic of Ireland and Northern Ireland and claims a reach of two million eyeballs per month (pairs, we assume). The company kept the CSA name long after the former UK parent company re-branded as Digital Cinema Media (DCM) – five years to be precise, as CSA (UK) became DCM on 1 January 2009. While DCM was acquired by UK multiplex operators Odeon and Cineworld (Vue joined later), CSA (Ireland) was bought by Irish commercial radio media mogul Dermot Hanrahan in May 2009. The company has thus continued to function under the moniker of a former parent company that doesn’t exist any more. This is now set to change as, with WEM having completed a €2 million investment in digitisation of its end-to-end advertising system with Unique Digital, including recently upgrading their Advertising Accord™ software. WEM is thus now fully equipped to take full advantage of the possibilities of the digital screen advertising medium. The company is marshalling major resources, including a €800,000 campaign based around the theme, “Wide Eye Media – Coming to your Senses. See it. Hear it. Feel it” There will also be a new ‘sting’ (ident trailer) playing in cinemas. You can see it for yourself below and although the YouTube compression is terrible, it will no doubt look and sound very impressive in cinemas. But the most interesting aspect of the exercise is ‘under the hood’ in terms of what WEM is trying to achieve in its new guise. As WEM rightly points out, Ireland has the highest cinema admissions per capita in the EU, something that is a good foundation to build on for cinema advertising. It is worth going through WEM’s very elegantly laid out and eloquently summarised presentation (‘Why not Cinema’?) 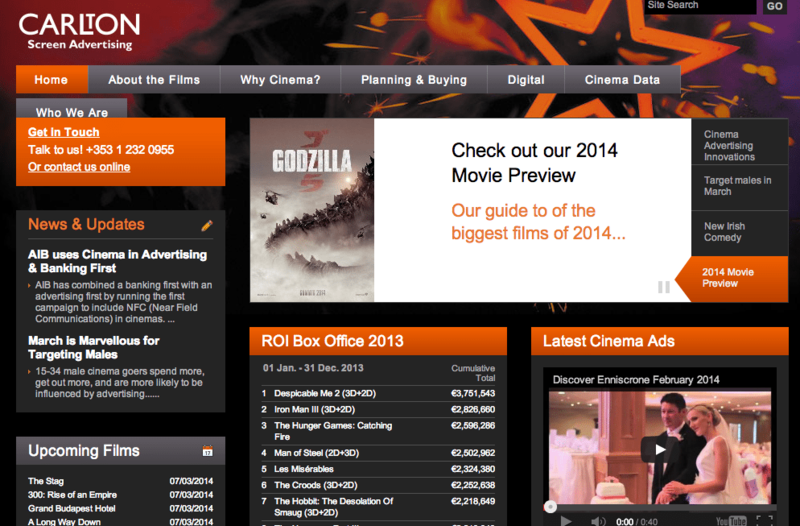 on their website, which should be a model for bigger and better resourced cinema advertisers (we are looking at you NCM and DCM). It builds a brief but compelling case for cinema advertising, which always has to punch above its weight, given that it accounts for just one to two per cent of total advertising spend in any given territory. What is particularly compelling about WEM’s re-launch is the strong focus on the 15-24 audience demographic. Obviously this is a consumer segment that nearly all brands, advertisers and platforms chase, be they Facebook, MTV or Unilever. But for cinemas this carries an extra level of importance as they are the future generation that need to sustain cinema going, even as exhibitors try to accommodate older audience demographics with everything from event cinema screenings to cinema dining. Being an astronaut means coming back to Earth with the Lifelong Lynx Effect. Cinema’s role was to help make the competition prize out of this world but make it feel obtainable in Ireland. 15–24 year old males, the target for the promotion, are big cinema lovers, with 35% attending at least once a month. Cinema offered Lynx a unique opportunity to interact more and cut through with fewer distractions for their advertising and activations. On-screen interactivity – a sensor camera picked up cinema goers as they entered the auditorium and projected them on the big screen, surrounded by images of the moon – showing the ‘Lynx Space Candidate’. Interactive Cinema 6 Sheets – cinema goers used the units to take a photo of themselves. They appeared as astronauts in the photo, which they could share on Facebook, extending the campaign virally. Interactive game pods – game pods were placed in cinema foyers giving cinema goers the chance to play a ‘dodge the asteroid’ game. Promotional Staff – ‘Lynx Girls’, dressed as astronauts, in the foyers, used iPads to encourage cinema goers to enter the space competition. While this was an advertisement, it shows the way for how cinemas need to make more of an effort to engage with 15-24 year old cinema goers. To paraphrase a classic Oldsmobile advert: This Is Not Your Father’s Multiplex, and anyone in the exhibition business who thinks that digital is just the new mode of projection will see young cinema goers stay away in droves. The sales house, which is holding an event to mark its rebranding in the Savoy Cinema this morning, plans to target 15- 24-year-old “adventurists”, whom it identifies as the “content junkies” who are “emotionally and physically attached to their mobile phones” and enjoy escapist movies. The age group makes up 13 per cent of the population but accounts for 28 per cent of all Irish cinema admissions. The technical innovation goes way beyond the digital technology on the large screen. Wide Eye Media says it intends “to attract consumers in time for the pre-reel by grabbing their attention, entertaining them and giving them something to talk about”. In one recent “first”, AIB used near- field communications (NFC) technology in cinema lobbies as part of a broader NFC campaign for its Me2U money transfer service. The technology allowed cinemagoers to download the app by tapping their phones against the posters. While this sort of innovation is commendable, it is nearly always driven by cinema advertisers, rather than by distributors or exhibitors (with a few notable exceptions). The movies are a young person’s medium, with some 57 per cent of cinemagoers in the Republic under 34, according to the RoI Film Monitor. The research is conducted by Millward Brown among 6,000 respondents. A separate survey conducted by Behaviour & Attitudes for Carlton Screen Advertising has found that close to half of cinemagoers (47 per cent) find out about their choice of movies via online sources, with some 30 per cent getting their information directly from cinema websites and 17 per cent using entertainment listings sites. Over the last four years more than 300,000 people have left Ireland, with the UK, Canada and Australia among the most popular destinations. Some 41% of them were aged between 15 and 24. “Nothing can replace the thrill of seeing a film on the big screen,” says Eoin Wrixon, general manager of Carlton Screen Advertising. But it is not an audience either exhibitors or cinema advertisers can take for granted. We will be following Wide Eye Media with interest and hope others will too.